[EAN: 9780345484055], Used, good, [SC: 17.73], [PU: Ballantine Books], 0345484053 Hardcover book in the dust jacket. Excellent condition; no markings. The binding and pages are tight and clean. 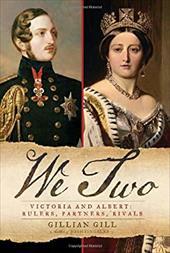 A twenty-first-century perspective on a giant of English history, Queen Victoria, and her marriage to German Prince Albert--timed to benefit from the release of the upcoming film "The Young Victoria" Known as one of history's most powerful and happily married couples, Victoria and Albert together ruled the British Empire for twenty years at the peak of its strength in mid-nineteenth century. The standard account of their union is that young Victoria, married at nineteen, was only too happy to hand over the reins of power to her husband, willingly taking a back seat to bear and raise their nine children. A well-known chronicler of the lives of achieving women, author Gillian Gill rejects this outdated interpretation, retelling the couple's story from a fresh, modern perspective. Victoria hated pregnancy, and as much as she loved Albert, she never let him impinge on her power. Gill makes the case that Albert's early death was the reason for the marriage's great success, leaving his widow another forty years on the throne to rule as sole monarch. Gill's last book, "Nightingales," about the life and times of Florence Nightingale, was called "vivid and completely readable" by "The New York Times Book Review. "She brings the same engaging storytelling to this vibrant, important new biography.